One of my dear Cricut Circle Message Board friends is having a birthday. All she wants for her birthday is to receive 70 birthday cards. To make my card I used the Noel Mignon Melrose kit. I must say those bright, sparkly Daiquri Thickers remind me so much of my friend and her bright, sparkly personality. Since everyone likes Hartly better than me, she had to have a card as well. The October Afternoon Cakewalk collection was perfect for her card. Both of us love the adorable animals on parade. The best part of all this is that I was there to give the birthday girl a big hug for her birthday and see her receive all 70 cards. Love that! I love it and I know she did too! Gorgeous card and fun card! I love your clever 70! And I fully concur with your assessment of her bright and sparkly personality. Fabulous cards! I just used some of the same paper you used for Hartly’s card for a birthday card for our neighbor. Your cards are wonderful! I bet she loved both of them! Sara – both are just beautiful and I sure wish I had been there too! 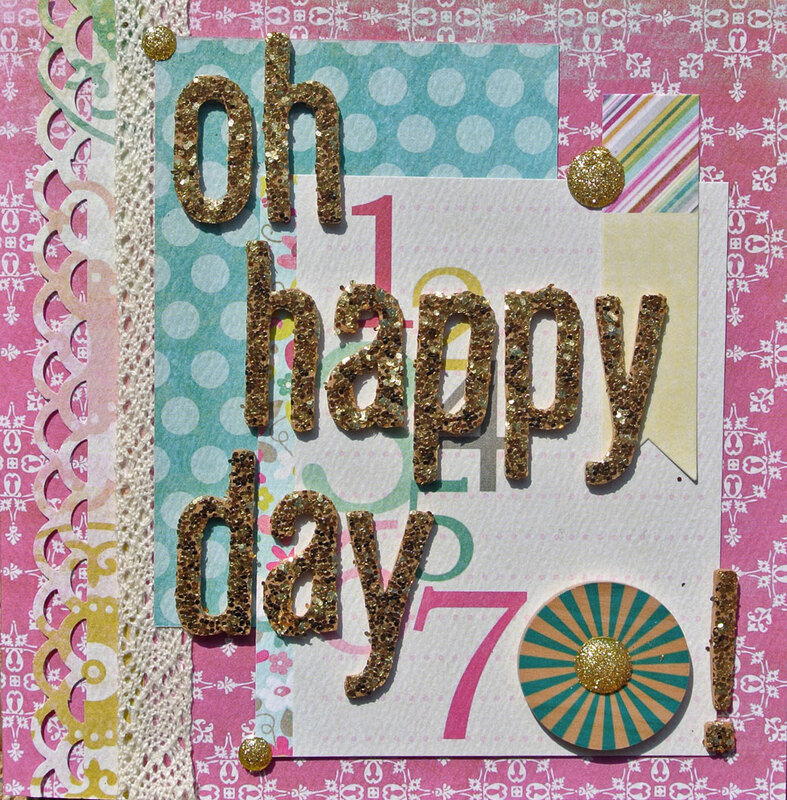 Wonderful card for our papercrafting friend who turned 70! I am so glad the goal of 70 cards was reached! 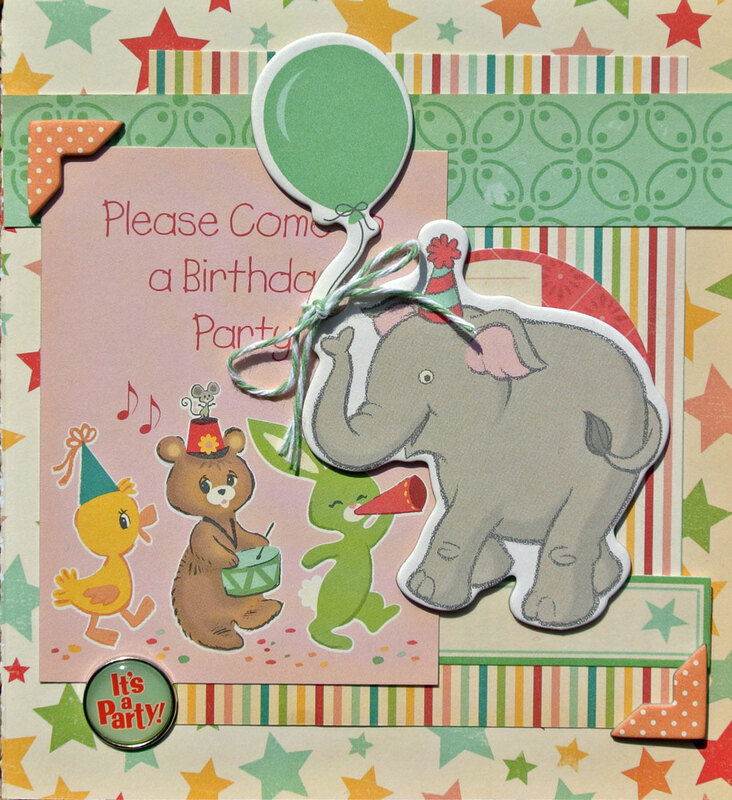 Sweet elephant card, too!